Artistic Peacock Diamond Pendant!. 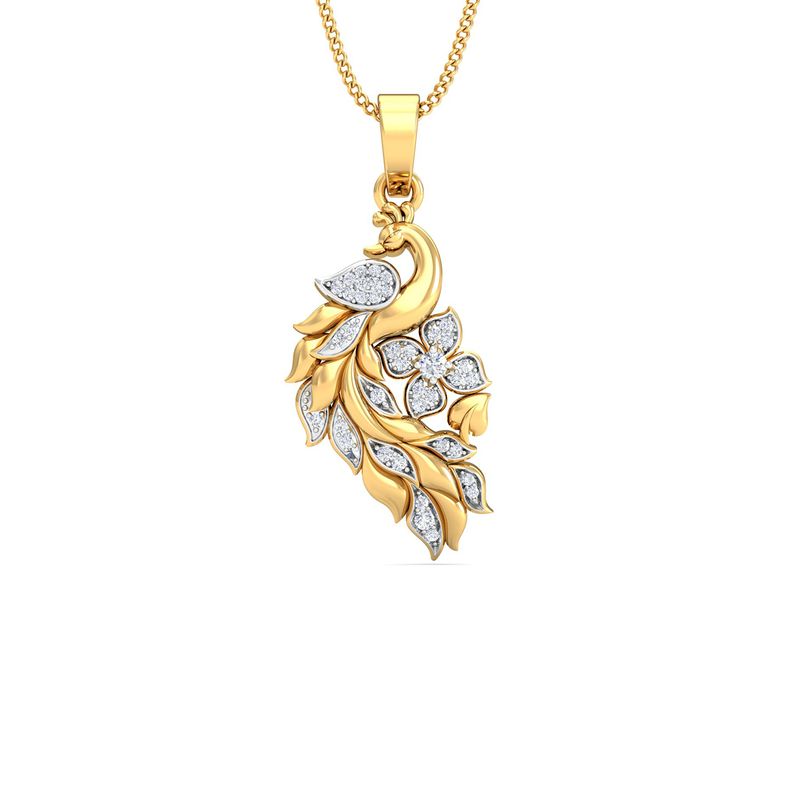 Make this peacock pendant a part of your Jewellery collection. Made of precious metal with intricate detailing combined with glittery diamonds, this pendant would impart that suave sophistication and style to your persona.